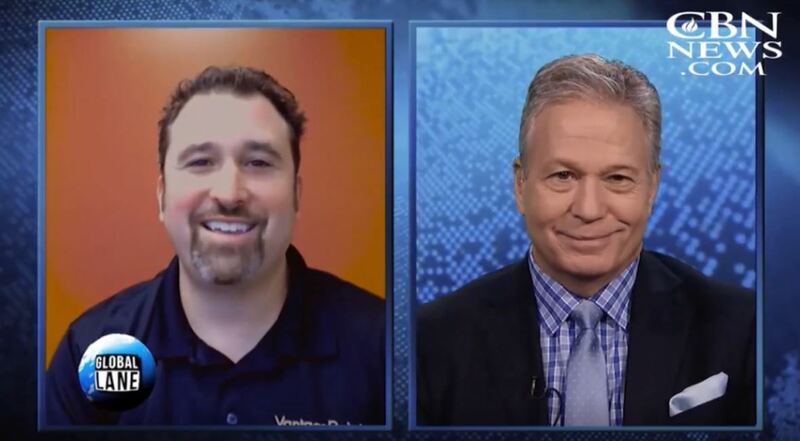 WESLEY, CHAPEL, Fla., September 19, 2018	(Newswire.com) - Lane Mendelsohn, the President of VantagePoint Software, the first artificial intelligence (AI) trading software available to the retail investor and traders, was invited to interview live on CBN News to share his expert insight on recent market trends in the gas and oil industry. Lane Mendelsohn is an Artificial Intelligence trading expert and the President of VantagePoint software. Lane was asked to speak live on air to share his insight on year over year gas price increases. The interview was led by Gary Lane, International News Director & Senior International Correspondent for CBN News on a segment called Global Lane, which covers trending topics in worldwide news. Mr. Mendelsohn has appeared as an expert guest on many live interviews for his highly accurate market insight and predictions. His software, VantagePoint, is known for its patented artificial intelligence-based indicators which analyze global market data to predict trend direction up to three days in advance with up to 86% accuracy. “You can make a lot more money when you know what’s coming,” said Gary Lane, Senior Correspondent for CBN. VantagePoint’s unique AI foresting capabilities give traders a significant advantage over others who still rely on single-market, trend-following indicators that focus on past data. VantagePoint applies a proprietary AI Neural Network to forecast market data, allowing you to get into trades days before other traders know what’s happening. Get a free demo of the software at https://www.vantagepointsoftware.com/demo or by calling 800-732-5407. VantagePoint Software remains at the forefront of trading software research and software development. The proprietary software uses Artificial Intelligence and intermarket analysis of today's globally interconnected financial markets. Global Business Insight has recognized Vantagepoint for its artificial intelligence software that empowers traders around the world daily.